according to the reports on Thursday based on sources. where Tesla battery packs and models are assembled, by 50 percent. 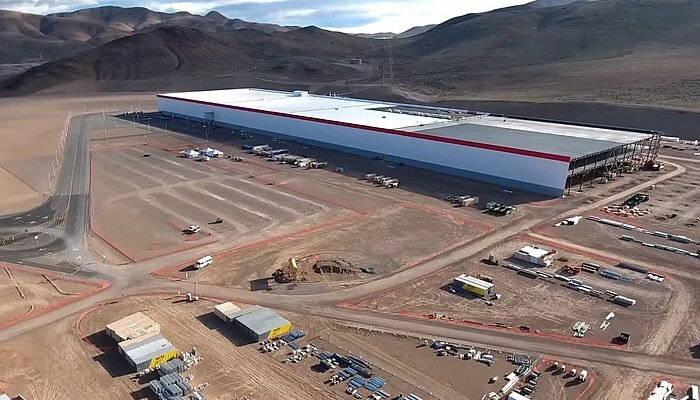 The Gigafactory 1 currently has a capacity of 35 GWh per year. 54 GWh should be achieved by 2020. Tesla and Panasonic have already invested around 4.5 billion dollars in the factory. A further 1.35 billion dollars was reportedly reserved for the coming years. The alleged cancellation of the planned investment is related to the declining demand for Tesla models and the small profit margin thereon. “We will, of course, remain to invest in Gigafactory 1 if needed,” Tesla stated.